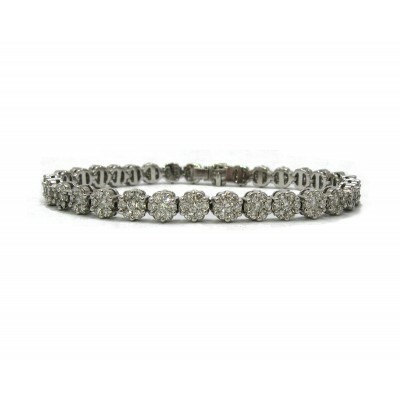 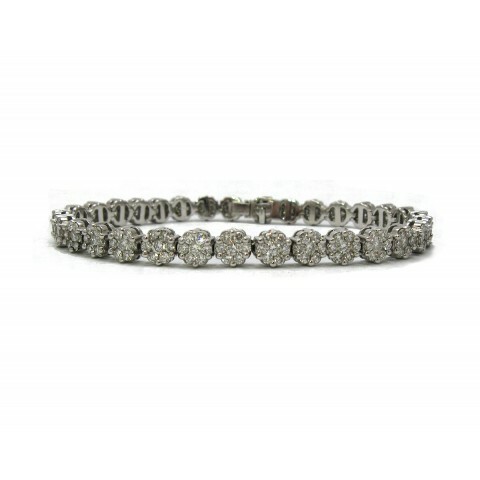 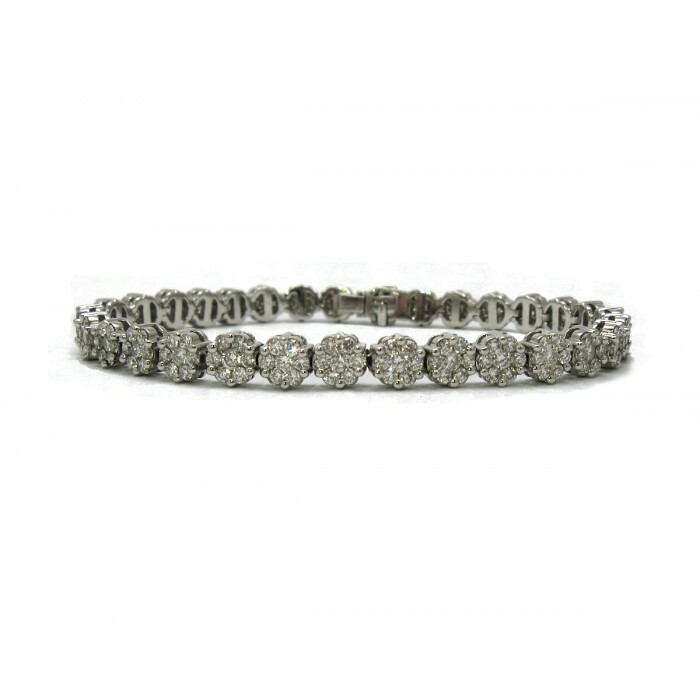 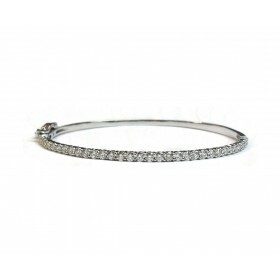 Clusters of round diamonds, weighing over 5CT, wrap all the way around the wrist. 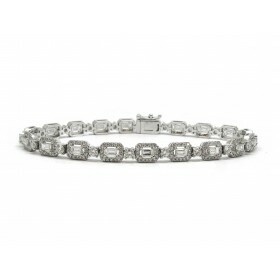 The clusters appear as larger individual diamonds at a distance with lots of sparkle. 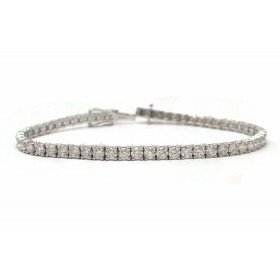 This is a great piece for formal or daily wear.